The FVRx Program, by Wholesome Wave, enables healthcare providers to write individual prescriptions for fruits and vegetables for low-income patients working to adopt healthy lifestyle changes. Patients can redeem their prescribed fruits and vegetables at participating retailers, grocery stores, and farmer’s markets. Produce is either donated directly or paid for through donations. Patients enrolled in the program largely declare the prescription to be a success, with a large number citing increases in fruit and vegetable consumption along with a decrease in BMI. The FVRx program frames fruits and vegetables as “medicine,” or vital components of a larger treatment plan to prevent diabetes and obesity, and thereby ensures affordability and access. Between 2011 and 2015, over 8,400 patients and family members received a total of $670,000 of fruits and vegetables through the program. Wholesome Wave is a non-profit organization focused on improving the accessibility and affordability of nutritious foods, and by extension improving people’s health, especially in low-income areas. Its Fruit & Vegetable Prescription (FVRx) program is a nutrition access program built explicitly around the idea of healthy food as medicine. 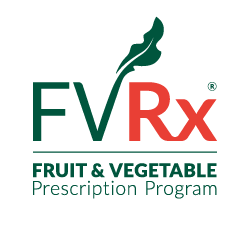 As the program’s title suggests, FVRx allows healthcare providers to write a formal prescription for fruits and vegetables which patients can then redeem at participating retailers, grocers, and farmers’ markets. Redemption of the fruits and vegetables prescription is tracked, and the program is funded by donations, either in produce donations by the retailers or from outside funding. The fruit and vegetable prescriptions are individualized to each patient and are given by the provider along with a discussion about a healthy eating plan and goals that make sense for that patient. Between 2011 and 2015, over 8,400 patients and family members received a total of $670,000 of fruits and vegetables through the program, and a new $800,000 partnership with Target began in 2016. Patients are spread throughout 10 different states, as well as Washington, D.C., and Navajo Nation. Nearly 70% of participants in 2015 cited increases in fruit and vegetable consumption, and 45% reduced their BMI over the course of the program. Additionally, almost half of participating households cited an increase in food security over the period of the program, suggesting that a meaningful impact on access. Wholesome Wave’s FVRx program succeeds in legitimizing healthy food as a critical component to long-term health. By framing fruits and vegetables as treatments, the program communicates that access and affordability are critical to sustained health—a message that resonates well with Wholesome Wave’s other advocacy and policy efforts. Additionally, FVRx helps bridge the gap between education and implementation. No matter how many times medical providers might speak of the importance of healthy eating, patients are unlikely to make or sustain changes when money is a barrier. Through FVRx, the provider can simultaneously teach people about healthy eating and provide them with a manageable way to put this advice into practice. Moreover, unlike many food donation programs, FVRx allows providers to tailor plans to individuals, meaning that patients can adopt a healthy eating plan that fits them and their families. Of course, FVRx is limited in its scalability because of its reliance on donations. In addition, it remains to be seen whether FVRx can have long-term effects on the fruit and vegetable consumption of its participants, especially after they leave the program. However, if FVRx is able to demonstrate improved long-term health outcomes, it has the potential to influence how we view nutrition as medicine, and thus has the potential to be a powerful player in the conversation about food access and affordability. FVRx has already inspired similar healthy food prescription programs, such as VeggieRx in California. Wholesome Wave has also affected the conversation around governmental nutrition incentive programs, which seek to increase fruit and vegetable consumption among families receiving nutritional assistance, such as SNAP benefits. As such, Wholesome Wave—in part due to its FVRx program—has the potential to remain a significant player in nutrition access and affordability. “Fruit and Vegetable Prescription (FVRx) Program,” 2014, http://www.wholesomewave.org/our-initiatives/nationalnutritionincentivenetwork/currentprojects/fruit-and-vegetable-prescription-projects/. “Wholesome Waves’ Fruit and Vegetable Prescription Program 2013 Report” (Bridgeport, CT: Wholesome Wave, 2013), http://www.wholesomewave.org/wp-content/uploads/2014/10/2013-FVRxReport_-Final-1.pdf. “Wholesome Wave’s Fruit and Vegetable Prescription Program – 2015 Factsheet” (Wholesome Wave, 2015), http://www.wholesomewave.org/wp-content/uploads/2014/07/FVRx-Factsheet-1.pdf.